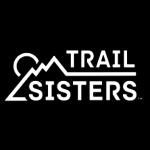 Written by USATF Mountain, Ultra Trail (MUT) Running Executive Committee members Richard Bolt, Nancy Hobbs, Alex Varner, Howard Nippert, with support from Jason Bryant and Krissy Moehl and approved by the MUT Council. Qualifying performance time frame: June 1, 2017 – February 28, 2018. Team Announced: March 30, 2018. Number of team staff: 2 (Team Leader will be Richard Bolt. The Assistant Team Leader is Anita Ortiz). Funding: This is a partially funded USATF team. We will know the amount of support in December 2017 following the USATF Annual Meeting where budgets are approved. National team uniforms will be provided by USATF. (If an athlete qualifies for the team but can’t make the trip due to injury or any other circumstance, the uniform must be returned to USATF). There is some funding for lodging from the local organizing committee (LOC) in Spain – exact amount TBD. 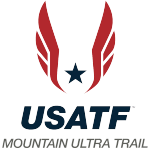 The 2018 US Ultra Trail Team – 6 men and 6 women – will be selected by the USATF MUT Executive Committee based on the criteria listed below. A Standard: Typically this is based on top US athlete finishes at the prior year Trail World Championship. Due to the large difference in race distance – 50 Mile in 2018 vs. 50K in 2017 – there will be no A standard selections for 2018. 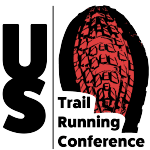 USATF 50 Mile Trail Championships / Cayuga Trails 50 Mile, June 3, 2017. 1st place U.S. male and 1st place U.S. female. Danielle Filipek and Chris Raulli earn automatic team spots. The White River 50 Mile, August 5, 2017. 1st placeU.S. male and 1st place U.S. female. Olin Berger and Christine Mosley earn automatic team spots. The North Face Endurance Challenge San Francisco 50 Mile, November 18, 2017. 1st & 2nd placeU.S. male and 1st & 2nd placeU.S. female. Tim Freriks, Zach Miller, Clare Gallagher and Megan Kimmel earn automatic team spots. C Standard: Team selection based on running resumes. Positions on the team unfilled by auto qualification listed above in the B standard, will be filled based on an evaluation of running resumes submitted by athletes. Strong consideration will be given to athletes with results in team selection races. If it becomes difficult to evaluate athlete resumes based on head to head racing the selection committee may also consult athlete rankings from Ultrarunning Magazine’s and UltraSignUp. The 2017 event was held on June 10 in Badia Prataglia, Italy in conjunction with the Trail Sacred Forests event. The 2016 event was held on October 29, 2016 in Geres, Portugal at the Peneda-Geres National Park and covered 85km over a profile of 4500 meters. Find photos of Team USA at the 2016 event here. The first Trail World Championships were held in Annecy, France, at the Maxi-Race on May 30, 2015. The US men won a team silver medal and the US women were seventh in team competition. Find photos of Team USA at the 2015 event here.